Note: This warping configuration (L1-2 / L3-4) works well with analogous colors but, in my opinion, doesn’t look good with high contrast. Warp L1-2 with the lighter color, L3-4 with dark. [And I’ve noticed a mistake: in the navy / white sample, R15 is missing the top of its star.] I haven’t tried it yet, but it might also look good in a L1, 3-4 / L2 two-color combination, or a single color. 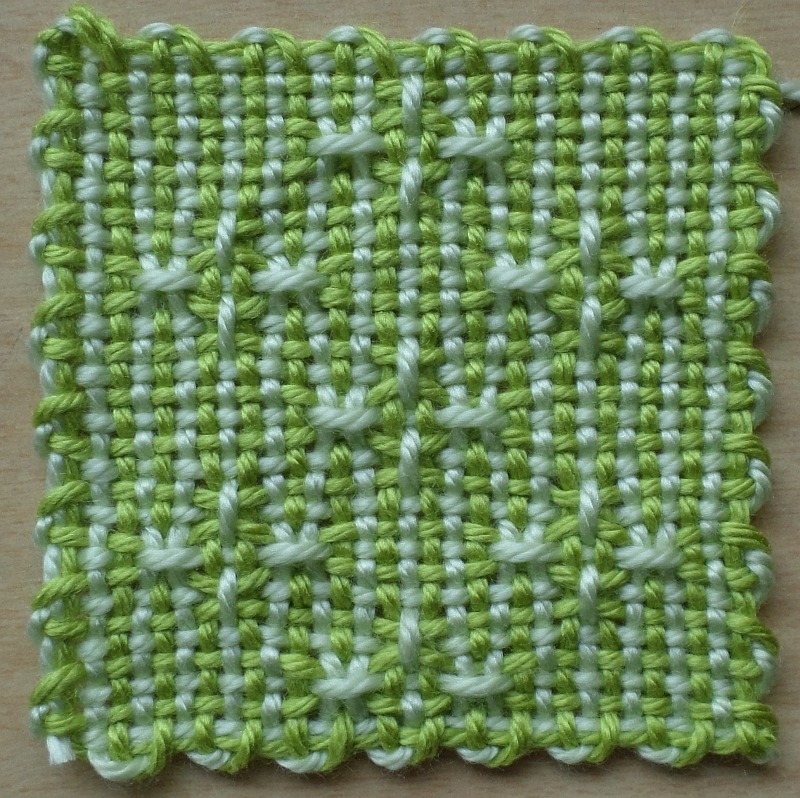 Thank You For The Weaving Pattern. 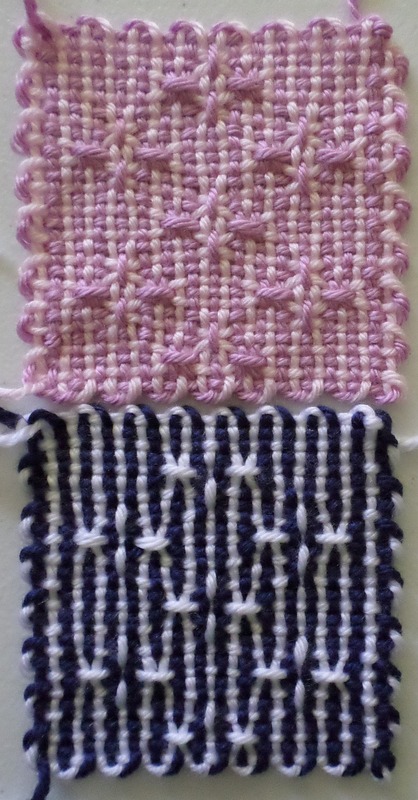 As i,am new to weaving .